Chile, 1988. The Human Solutions team (a detective, a psychologist, and an actor) work together to engineer social situations to help their clients with anything they might need - until a case leaves one of them tangled in a cult run by an ex-Nazi with torturous ties to the Pinochet dictatorship. To most people, Javier Gonzalez is an ordinary man. If you were to ask him, he would tell you that he runs an acting studio in Santiago, Chile, which is the truth, but not the whole story. Only a handful of people know that Javier also runs an unusual sort of business. With the help of a team of actors, Javier engineers social situations that meet the unique needs of his clients. If you want your boss to like you, he can help; if you want the weatherman to fall in love with you, he can arrange it. He calls his business Human Solutions, and that is exactly what he provides. And he is good. Javier's manipulations never fail because he controls every moment of every interaction - he is precise, observant and emotionally ruthless and this has served him well. But then one day he slips. He falls for a woman, and against his better judgment, and the council of his associates, Javier takes on her case - a case he would never touch under ordinary circumstances. The woman's name is Elena, and her son is locked behind the well-armed walls of a cult masquerading as an educational institution. She wants him out, so Javier agrees to go in. Once behind the walls of the compound, Javier meets a man who is running a larger-scale social manipulation than he ever thought possible. The man is Peter Wenzelor Uncle Peter, as he insists on being calledand as the charismatic leader of the cult he deftly manipulates his followers through a complicated system of fear, deception and brutality. Uncle Peter is an ex-Nazi, expelled from Germany for molesting children, and his ties with General PinochetChile's barbarous dictatorare extensive and terrifying. He is a man with no conscience or fearand Javier quickly realizes that he may have met his match. Avi Silberstein: Avi Silberstein was born in Chile in 1982, and moved to Canada in 2000. His short stories have appeared in publications including "The New Quarterly" and "Grain." He is a librarian in British Columbia, Canada. This is his first novel. "In 1988 Santiago, Chile, a shadowy narrator known only as Javier runs a creepy business known as Human Solutions, which guarantees to make its clients’ desires come true via the manipulation of others." "If The Boys From Brazil was written by Paul Auster, you'd have Human Solutions. Prepare for a one-sitting read." 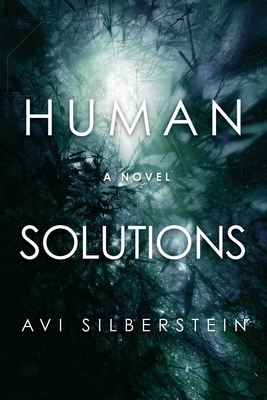 "Avi Silberstein's stunning debut is gripping, disturbing, darkly funny, and impossible to put down. The writing is taut and spare, creating a sharply etched portrait of 1980s Chile. Triumphant."